Situated within London Container Terminal we have extensive, modern Border Inspection Post (BIP) facilities for the examination of cargoes by Port Health, UKBA, Special Branch, Forestry Commission, Plant Health and Seeds Inspectorate, Horticultural Marketing Inspectorate and Trading Standards. Whilst assisting statutory bodies with outturns, we also offer services to our customers in loading and unloading of containers with large items. 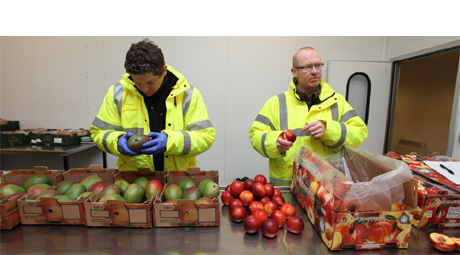 Our BIP area has extensive temperature controlled storage areas for the handling of frozen and chilled cargo and our staff work closely with the authorities to ensure that customer goods are attended to with the utmost care and speed.